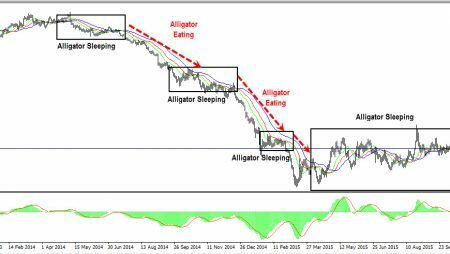 Posted on April 15, 2019 by Autochartist wrote in Autochartist Blog. It has 0 Comment. You had a great strategy, it was working well and it was making you money. The problem? Suddenly, market conditions have changed and your strategy no longer works. Markets are too volatile, too choppy. It’s as though the only thing your strategy can produce is a screen full of red. It seems like your strategy has broken down and is desperately in need of a fixing. You wonder is it time to ditch your “beloved” strategy, the one that’s always, until now, worked so well. The answer: Not so fast. Your strategy was designed for certain market conditions even if you weren’t aware of them. So what do you do when your strategy gives out? Just like any “doctor” who has to diagnose a sick patient you need to diagnose your ailing strategy. But don’t let the word “diagnostics” scare you; most of the times diagnosing what is not working is simple. The key symptom for a trading strategy that has stopped working is a very sharp fall in the win ratio (i.e. profitable trades). This usually means that either your entry or exit conditions are no longer viable or that your leverage is too high. Of course, both can go wrong, too. So how do you know which is which and what has gone wrong? Here are a few tips. Focus on these things: duration, win ratio and trade frequency. One of the most common symptoms of a non-working strategy is trade duration, which is the average time a trade takes. The key thing to watch for is when duration begins to deviate from its average. This is an indication that the cycles that your strategy had been counting on have now changed. When combined with a win ratio and trade frequency measurement (how many trades are executed per unit of time) it allows you to adequately diagnose the more common mechanisms that tend to go wrong in a strategy. Those mechanisms include leverage, entry and/or exit. Let’s assume the duration has fallen alongside the win ratio but the frequency of your trades was unchanged. For example, you execute more or less an average of three trades a day and this has not changed then your frequency hasn’t changed. What should you make of this? Simply this; the leverage in your trading strategy is too high for the current market volatility. 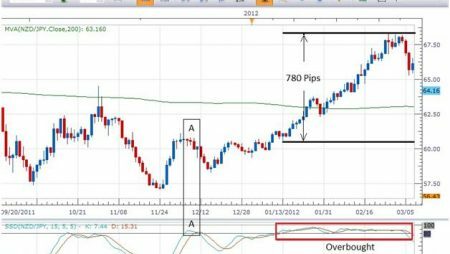 The fix for this problem is to lower your leverage and take a deeper stop loss. This way your risk does not change because you trade at a smaller position and thus you adjust your strategy to a more volatile market. Now, let’s say your duration has fallen alongside your win ratio but the frequency of your trades has jumped. That means your entry is creating a false signal amid the higher volatility and needs to be adjusted to fit a more volatile market. You do this generally by smoothing the indicators you use. Finally, let’s say the duration of your trades has jumped higher alongside a falling win ratio while the frequency has fallen. That means your cue for disengaging or for closing in your trading strategy is not sensitive enough. Essentially, you leave your trade open for too long until it eventually turns against you. What you need to do is to make your exit trigger more sensitive by running on a shorter period. Sometimes, as in the cases illustrated above, by simplifying your trading strategy, you can focus on minor tweaks that may go a long way toward stabilizing your returns. As you may have noticed, most of the focus here has been on markets becoming more volatile. Volatility is the main reason that strategies stop working and the reason I focused most of the adjustments and tweaks. But, of course, each case must be to its own merits. If a simple tweak won’t work, then it’s generally prudent to have a strategy in place for each type of market condition.